Many of my clients have been asking about keratin treatments including what the process is, how long it lasts, will it do damage, etc. Well today I am going to take you through the entire process and show each step of what occurs as well as answer some of your questions. Are you ready?? Here we go! 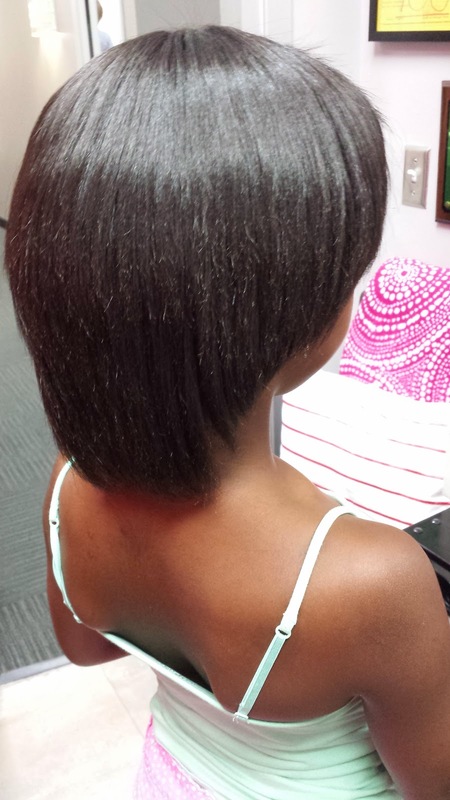 This is what the clients hair looks like in its natural state. 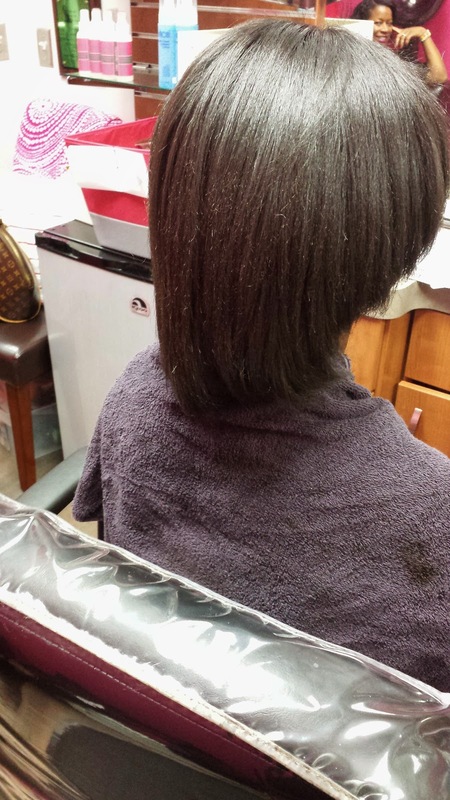 She is transitioning but the last relaxer she had was really a texturizer because she did not let it get straight hardly at all. 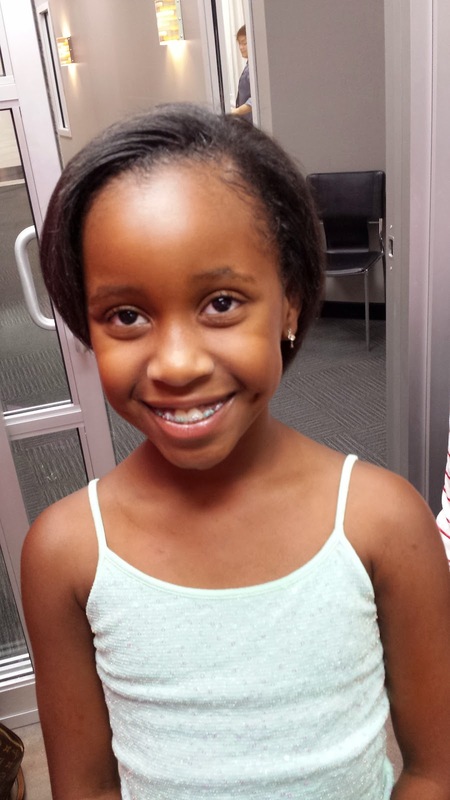 But after that her mother decided no more relaxers because not only was her previous hairstylist doing them every six weeks, but she also did a lot of swimming in the pool and the chlorine was not the best thing for her edges. 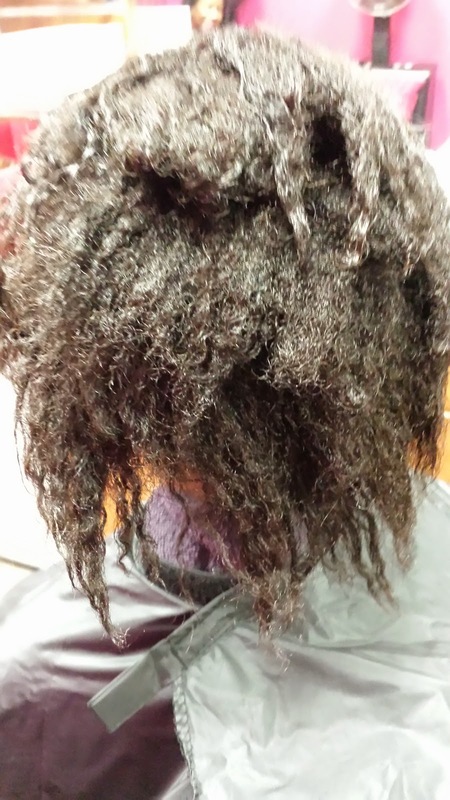 This is a pic of the top view of her hair to show her curl pattern. The first thing I did was shampoo the hair thoroughly. 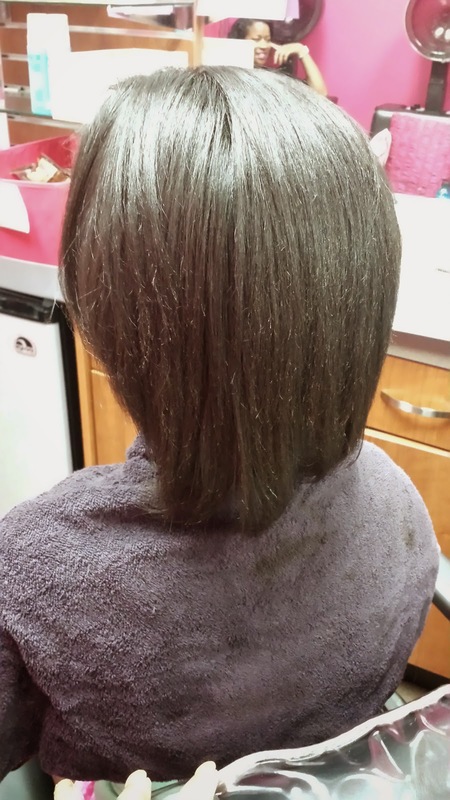 Then I put the keratin treatment on the hair, blow dried the hair, then flat ironed it. 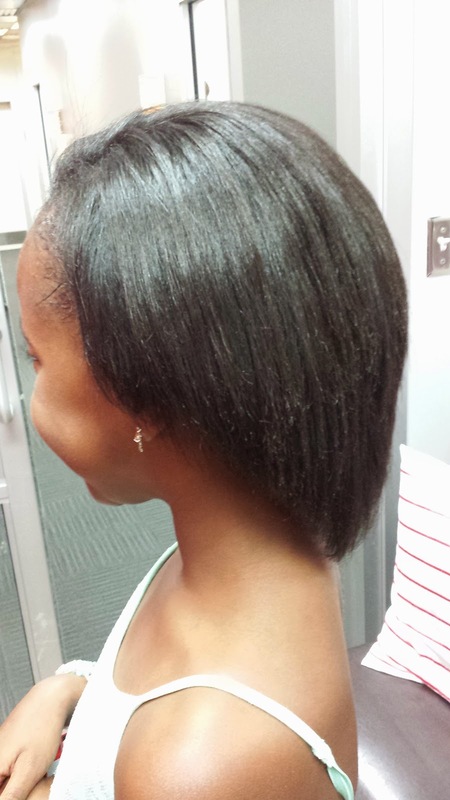 This picture is the "after" from when I got done flat ironing. After I got done flat ironing, I had to then rinse the hair. The picture above is now how the hair looks soaking wet. Notice it now looks like freshly relaxed hair, unlike the first picture in this post which was curly. After that I then conditioned the hair, rinsed that, then flat ironed again only this time the process of blow dry and flat iron was much faster since the hair was already straight. It also was very soft to the touch and had lots of body. This young lady could not keep her hands out of her hair even before I got finished! She was very pleased so that means my job was done. For maintenance she can simply wrap nightly. 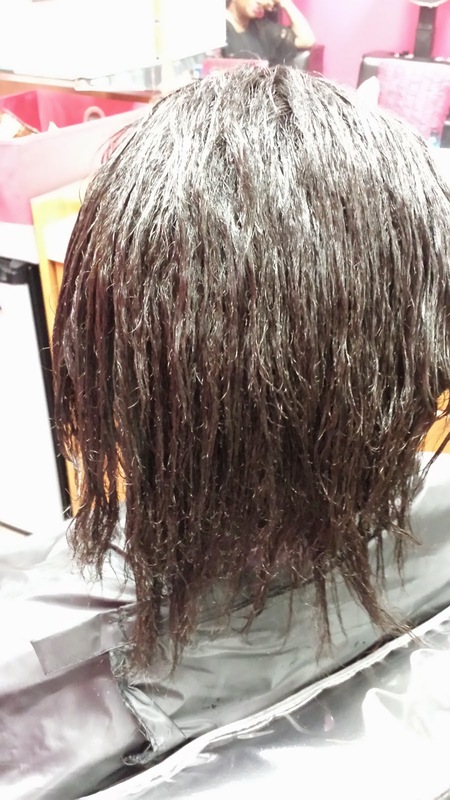 Her hair will remain this way for up to four months, then all of the hair will go back to its original state. 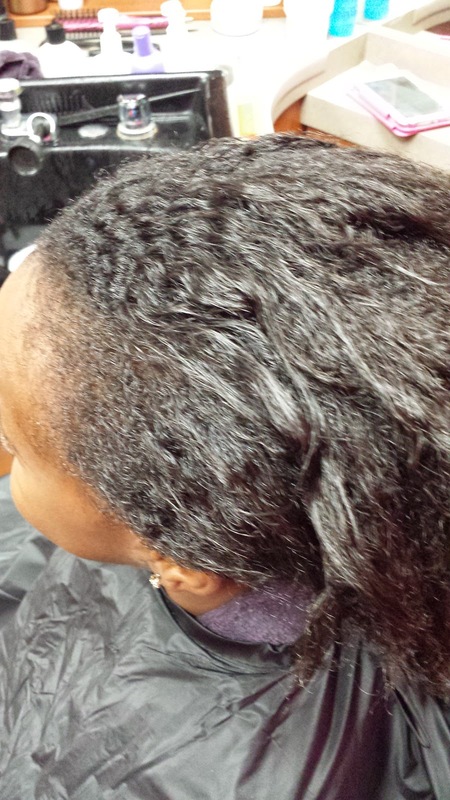 There is no damage, it is an actual treatment not a harsh chemical like a relaxer, and is only temporary. If she like it she can then decide to get it again or go back to her curls. That little girl is so adorable, btw. Her smile and little dimple just made my heart melt lol.